Her broadcast show, Boomer Nation! is heard throughout West Central FL on WGUL/WLSS 860/930 AM (& 860wgul.com), and is syndicated nationally on Phoenix Broadcast Network, Boomer Authority Radio Network (BARN) & top Boomer websites like Boomster & Boomer-Living. Terri has degrees in Theatre Arts/Communications and Counseling Psychology. Her expertise stems from a diverse background and extensive experience as an actress, business owner, senior manager, therapist, life coach, broadcaster and author. 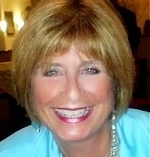 Please check out her websites: Boomer Radio Show, Advice for Boomers, The Boomer Expert and Boomer Nation Blog. You can also reach Terri by email. In 1970, Marijuana was classified a Schedule I substance under the Controlled Substances Act of that year, even though a comprehensive study by the Schafer Commission recommended the complete decriminalization of it. President Nixon, going against all the scientific evidence, disagreed, rejected their recommendation, and ensured the Act’s passage. This classification, which asserts by statute that cannabis is equally as dangerous to the public as is heroin, and defines cannabis as possessing ‘a high potential for abuse, … no currently accepted medical use, … [and] a lack of accepted safety for the use of the drug … under medical supervision.’ Alcohol clearly fits this classification, yet is legal for recreational use. By contrast, cocaine and methamphetamine – which can be consumed under a doctor’s supervision – are classified as Schedule II drugs (less harmful); considered even less harmful/addictive and more useful are Schedule III and IV substances like anabolic steroids and Valium respectively; followed by codeine-containing analgesics defined as Schedule V drugs, the federal government’s most lenient classification. So, to sum up, although the science heartily impugns this stance, our government has designated marijuana as more dangerous than cocaine, anabolic steroids, and, as mentioned above, OxyContin and Vicatin. Our bodies have 2 natural cannabinoid receptors, the CB1 & CB2 – present in both the nervous system and other tissues and organs of the body (like the spleen for CB2), with a structure and function resembling that of other known hormone receptors. This is a newly discovered (1990) and extensive regulatory system within the body that can work therapeutically in tandem with cannabis introduced for medicinal purposes. Just one example of the numerous studies conducted over the years – in February 2010 investigators at the University of California Center for Medicinal Cannabis Research publicly announced the findings of a series of randomized, placebo-controlled clinical trials on the medical utility of inhaled cannabis. The studies, which utilized the so-called ‘gold standard’ FDA clinical trial design, concluded that marijuana ought to be a “first line treatment” for patients with neuropathy and other serious illnesses. Now you know. I hope you’ll use this as your primer so if you still decide to cast a nay vote on the issue in your State, you will do so fully aware that such a vote goes against the proven history, and science, of this useful substance.